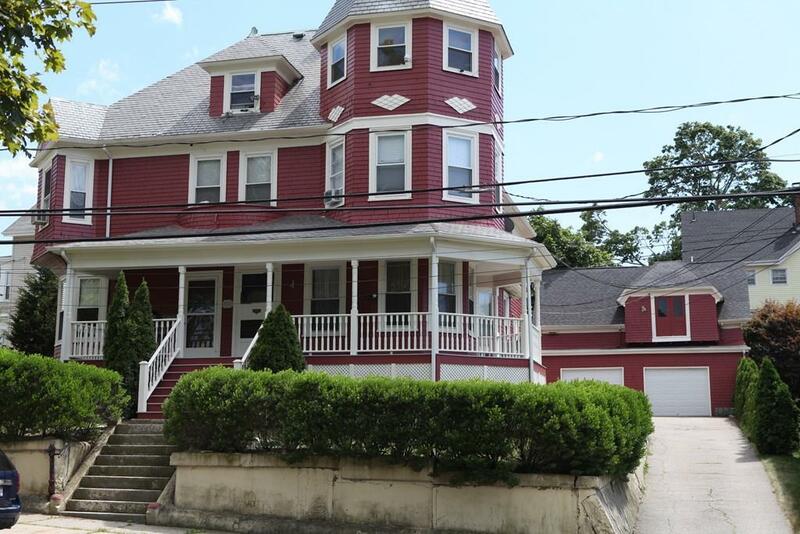 Stunning Victorian with a beautiful large 1st floor, perfect for owner occupied and have additional rents to pay expenses! The first floor still maintains the woodwork and all its charm and character you would expect. Hardwoods throughout, high ceilings and updated kitchen and bath with laundry. Expansive views of Kennedy Park and Mount Hope Bay. Over-sized two car garage and additional large space above garages with many possibilities. New high efficiency boiler last year! 3 Additional nicely finished apartments in need of no work with great tenants. Exterior was professionally painted summer of 2017 including garage interior hall and first floor apartment! This is a rare opportunity and won’t last.